Is Catnip Harmful for Your Dog? The short answer is NO. Even though some cats freak out at the aroma of catnip, it is 100% a normal response. There is nothing addictive or lasting about smelling or ingesting catnip. Once the effects have worn off, they are gone. Although catnip can produce a stimulant effect on felines, it is considered to have a tranquilizing or soothing effect on dogs. In fact, a few whole leaves placed in a dog's water bowl may help alleviate nervousness or promote sleepiness. This is not to say, that your pet won't throw up after ingesting too much. Similar to how dogs and cats occasionally nibble on grass to improve peristalsis and digestive function, an overindulgence on fresh or dried catnip can result in temporary vomiting. 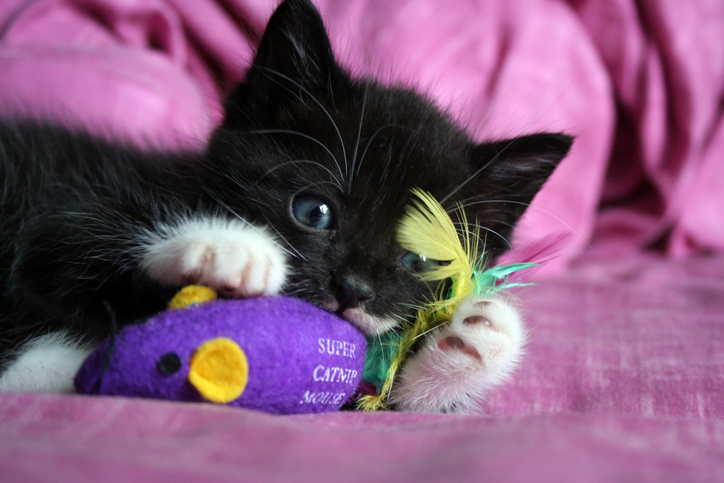 Unlike humans and canines, cats are unique in their reaction to catnip. Although some cats go crazy, others may appear indifferent. Approximately 25% of felines do not respond to the terpenes in nepeta cataria due to genetics or the absence of an autosomal dominant gene. For whatever reason you may be considering giving your dog catnip, talk to your veterinarian about this beforehand. Your vet will consider many of the same things that your doctor would before approving an herbal remedy for you, such as the medications currently being taken as well as all health issues being treated. Moreover, excessive amounts of catnip given to your dog could lead to a variety of unwanted medical conditions with time. However, if your best friend chews up your cat's favorite catnip toy over the Holidays, it doesn't necessitate a trip to the pet emergency room unless distressing symptoms are noted. As always, if you have any concern over your dog or cat's well-being, don't hesitate to contact the caring veterinarians at PrimeVET.